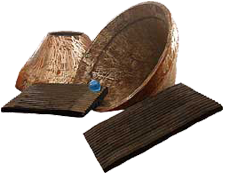 “Energoremont Kresna” Ltd in the town of Kresna has 37 year tradition in metalcasting. The company is specialized in production of castings, spare parts and non standard equipment from carbon, low and high alloyed steels, as well as from grey and wear resistant cast iron. 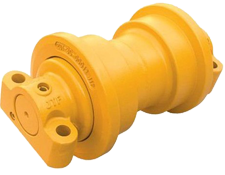 The company is able to produce shaped castings of 0,5 to 6000 kg per unit. “Energoremont Kresna”AD in the town of Kresna has 37 year tradition in metalcasting as a producer of castings and spare parts for the energetics, including slurry pumps for thermal stations, armours for ball mills, cover disks and disk hubs, ventilating mills, different kinds of castings for the Bulgarian industrial and ore-dressing plants, castings for cement factories, as well as for export. 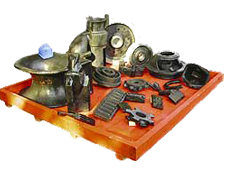 The metalcasting production is provided with well equipped pattern shop where the necessary pattern equipment is produced and repaired. 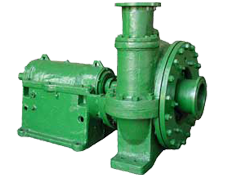 The company has invested in purchase and assembling of new modern installations for conveying of quartz sand to the mixers at the moulding line. There are 2 four tons electric arc furnaces for metal melting of steel and iron.